Breakfast like a king they say! That's all very well on the weekend when there is enough time to prepare but not so running from the early morning workout, to the shower to work! It's all to easy too to get into the habit of buying breakfast every morning - doorstop wedges of toast with butter and jam takes away all the hard work of my gym slog though. So, it has to be something to take to work and I found a great solution. Bircher Muesli! Apparently the soaking of the oats in juice activates the enzymes which is good for you? I just think it tastes great! Shop bought Muesli can be packed with sugar. This recipe's sugar content at least comes from the dried fruit rather than any added sweetening. Why make your own muesli if only to add some "not so fresh" juice so I opted for freshly squeezed orange. 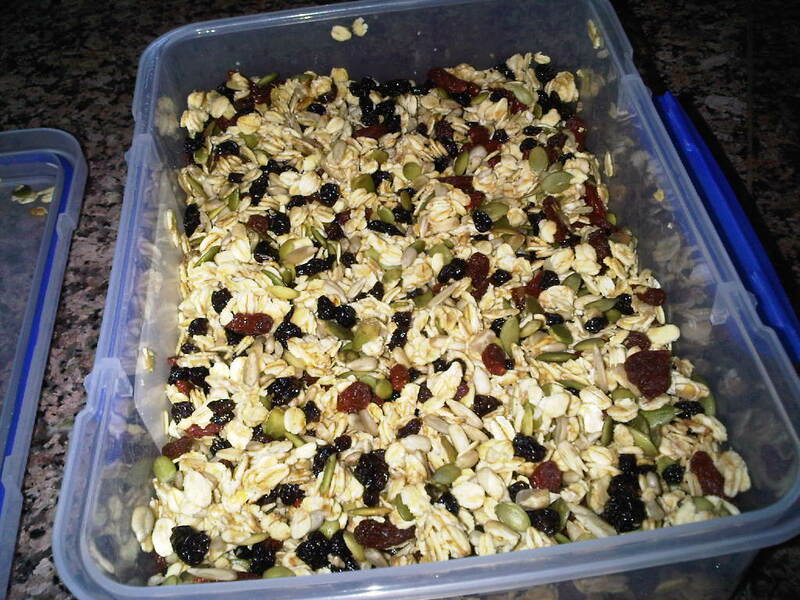 I sometimes make a big tupperware at the start of the week and take a few spoonfuls of the muesli out to take to work. Alternatively, sometimes I make up the dry ingredients in advance and take a half cup of that in a mini tupperware with half a squeezed orange. 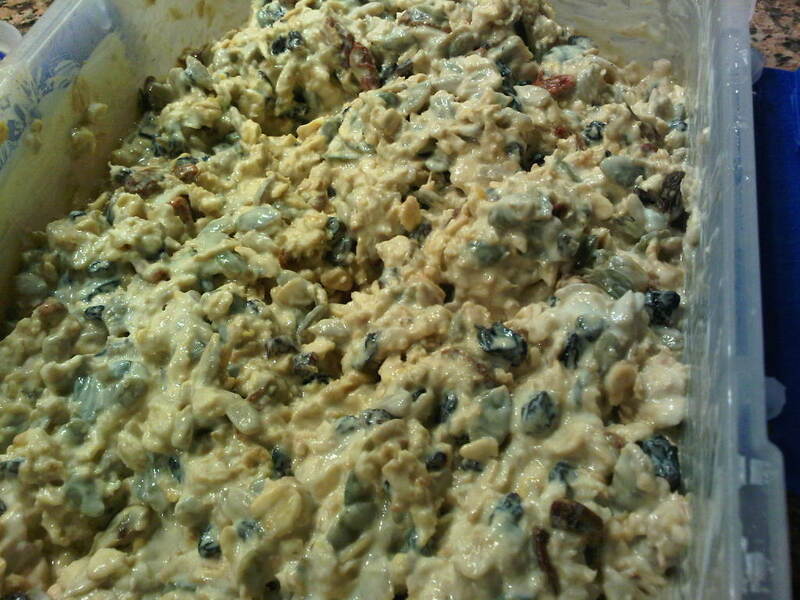 I let that soak overnight and add a few scoops of yoghurt before rushing out the door. You can add grated apple, a couple of sliced strawberries or even a small handful of frozen mixed berries to the tupperware. They have defrosted by the time I get to work making a perfect accompaniment! 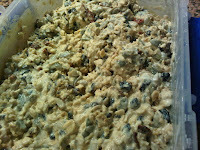 Mix the dry ingredients together in a bowl or tupperware container. 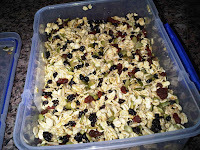 Squeeze the oranges and add the juice to the oats,seeds, dried fruit mix. Leave for an hour or overnight for the juice to be absorbed. 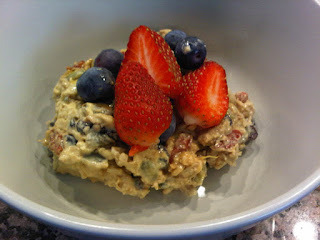 Thanks for this bircher muesli recipe. I'm going to make this tonight -I think my kids would love it for breakfast and it's so good for you, isn't it?